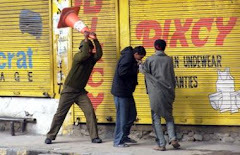 Srinagar, May 18: The killing of a civilian allegedly in the custody of the Special Operations Group of Jammu and Kashmir Police on Monday triggered massive anti-polic e protests near his residence in uptown Alochi Bagh here. Eyewitnesses said that Manzoor Ahmad Beg, 35, son of Abdul Ahad Beg, was bought in an unconscious state to the SMHS hospital in the afternoon by some unidentified persons in an auto-rickshaw. 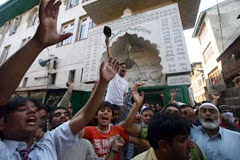 “They left his (Beg’s) body in the hospital premises and fled the spot. The body was taken inside the hospital where doctors declared him brought dead.” Beg’s body was shifted to the Government Medical College for post mortem. Police later shifted it to the Police Control Room. 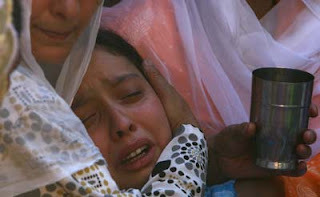 Fearing uprising and protests, police handed over the body to the family late in the evening. Beg’s brother, Abdul Majeed said, “At around 1.30 pm two men appeared on my shop and told me that my brother had been picked up by the SOG men of Cargo camp. They told me to go to the SMHS hospital where he was admitted. When I went there I was told that he had died.” “There were torture marks on his body. His underarms were swelled and there was a strangulation mark around his neck… the body is now in PCR,” he said. From the SOG camp, he said, he was told that Beg’s body was first shifted to a private nursing home, Ramzana Hospital, where two unidentified men had hired the auto for SMHS hospital. He said the auto driver arrested by the police had been lodged in Karan Nagar police station. 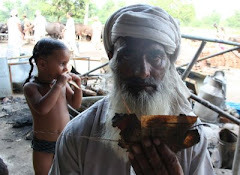 Father of three children, Beg was a dealer of secondhand cars. 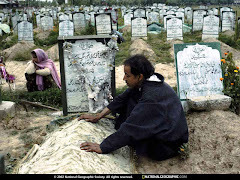 When the news of his death broke in the area, many of his relatives and neignbours were shocked when they lea rnt that he had been killed by the SOG of the state police. “I saw him in the morning when he was buying some goods from a shop. 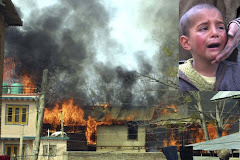 He later accompanied his daughter to the school and left for his routine work,” said his neighbour Mushtaq Ahmad. 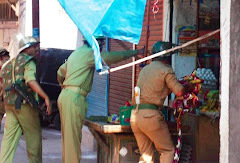 “I don’t believe that he is dead.” While police retained his body till late in the evening, massive protests erupted in the area as scores of men and women, shouting anti-police and anti-India slogans, took to streets to stage protest demonstrations. They blocked the Airport road for several hours bringing the rush hour traffic to a complete halt. 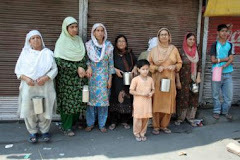 The protesters demanded that the body be handed over to the family. They also sought action against the policemen involved in his murder. 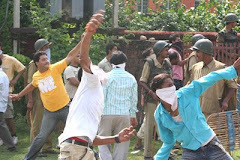 A large number of police and paramilitary troopers were deployed in the area to deal with the protests. Later in the evening, when Beg’s mortal remains were handed over to the family, a pall of gloom descended over the entire locality. Women wailed and beat their chests as the coffin was bought to his house. 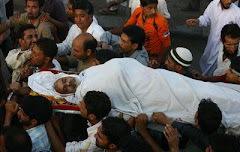 Many separatist leaders, including Nayeem Ahmad Khan, Mushtaq-ul-Islam and JKLF vice-chairman, Bashir Ahmad Bhat, visited the residence of the deceased. Meanwhile, the government has ordered a probe into the killing. 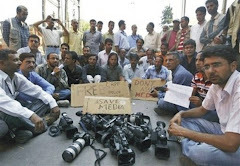 Talking to reporters at the GMC, Srinagar, the deputy commissioner, Me’raj Ahmad Kakroo, said that he had ordered an inquiry into the killing. 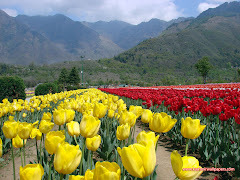 He appointed the additional deputy commission, M. Y. Zargar, as the inquiry officer asking him to submit his report within a week. Asked why he had come to the hospital and whether it was a custodial killing, Kakroo said, “I got a message and thought to visit the hospital to get the first hand account. We will probe the matter and then only would it be clear whether it is a custodial killing or not.” Kakroo was accompanied by the senior superintendent of police, Syed Ahfad-ul-Mujtaba. 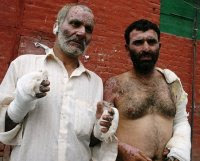 Srinagar, May 25: The Inquiry Committee setup by the government to probe the alleged custodial killing of 40-year-old Manzoor Ahmad Beigh submitted its report to Deputy Commissioner Srinagar on Monday. 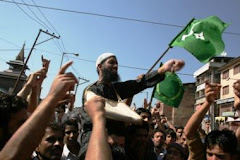 “I have received the report and I will examine it tomorrow,” DC Srinagar Mehraj Ahmad Kakroo told Rising Kashmir. Asked about the punishment to be given to the accused indicted by the inquiry report Kakroo said, “It would be decided after examining the report”. 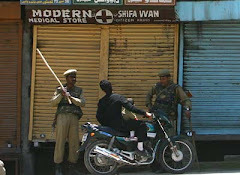 Inspector General of Police Kashmir Range, Dr B Srinivas has said that they would follow the conclusions of the report. 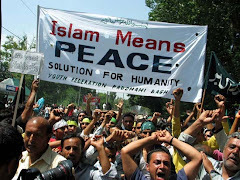 “We would follow the government directions,” IGP said. Manzoor Ahmad Beigh, father of three and hailing from Alucha Bagh was picked up by SOG personnel on May 18. He died in their custody on the same day, triggering massive anti-SOG protests in the area and other parts of City. 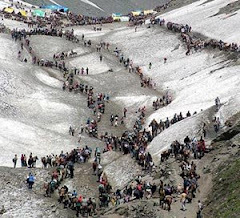 Sources said Zargar quizzed eight people including Special Operation of Police personnel and eye-witnesses. “The statements of SOG and eye-witnesses were recorded and a comprehensive investigative report was prepared,” they said. Police has already suspended SOG Inspector Khurshid Ahmad allegedly involved in killing of Beigh. The deceased, according to his relatives was summoned by the accused officer to SOG camp as he owed Rs 40,000 to some persons who had sought SOG’s intervention to realize the money. Police have also arrested four persons including inspector Khurshid’s relative, on whose insistence Manzoor was summoned to SOG camp. 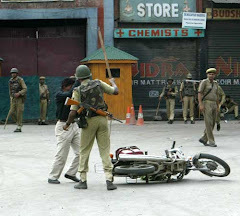 Srinagar, May 27: The inquiry into the alleged custodial death of a car-dealer from Alochibagh area has indicted an inspector of Special Operation Group of police for contravening his jurisdiction to interfere in a civil issue. Special Operation Group (SOG) of police has been accused in the killing Manzoor Ahmad Beigh, the car-dealer. Beigh, father of three, died allegedly in custody of SOG on May 18 and his body was reportedly abandoned outside the SMHS Hospital here. 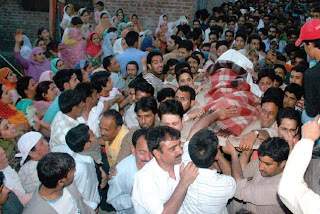 Soon after the death of Manzoor, massive protests erupted in his home area, following which divisional administration ordered a time-bound inquiry. 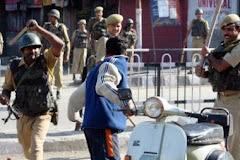 M Y Zargar, Additional Deputy Development Commissioner Srinagar in his probe report, sources said, has underlined that the accused - Inspector Khursheed Ahmad - has trespassed his jurisdiction to call the person to his camp in a civil suit. But whether the officer was responsible for Manzoor Ahmad Beigh’s death or otherwise is subject to a comprehensive postmortem report which has not been submitted as yet, the inquiry report has reportedly observed. 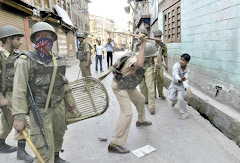 District Development Commissioner Srinagar Mehraj Ahmad Kakroo, who received the report from Zargar Monday, was likely to recommend departmental action against the police officer, the sources said. 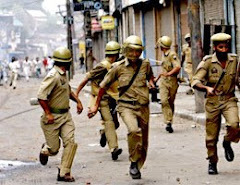 Pertinently, the announcement of the probe failed to control anger and people, especially in Alochibagh, continued with forceful protests for four consecutive days. The killing was also condemned by both pro-freedom as well as mainstream parties. 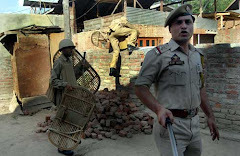 Police has already suspended SOG Inspector Khurshid Ahmad allegedly involved in the killing and has also ordered a departmental inquiry into the incident. However, sources said, that the recommendation of departmental action against the officer shall not be detrimental to the outcome of the final post-mortem report. “The autopsy, final medical evidence, can only establish the cause and circumstances leading to Beigh's death,” the sources said. 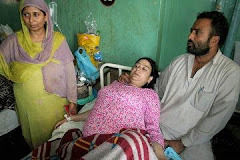 Srinagar, May 29: The family members of slain Manzoor Ahmad Beigh of Alucha Bagh, have contested the magisterial inquiry report that he died a natural death. 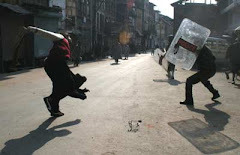 The residents Friday held anti-police protests and said he was killed in custody by SOG. Contradicting magisterial inquiry report, Manzoor’s brother, Abdul Majeed said that SOG had arrested and subsequently killed his brother under custody. “The magisterial inquiry report is blatant lie,” Beigh said. “He was tortured. I had seen his body lying on a stretcher in SMHS. His body bore torture marks on thighs and armpits. He had also received head injuries. There were also marks of ropes around his neck. 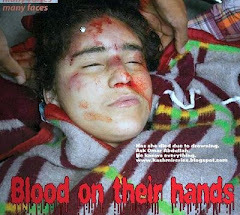 I saw his body before post mortem,” said Beigh’s brother. Rejecting the report, Majeed said government is concealing the truth. Majeed threatened, if administration does not come with a ‘true’ report, they would exhume the body of Manzoor for re-examination. “We would be forced to do that. 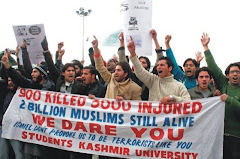 And we would also start protesting,” said Majeed. Meanwhile, after Friday prayers, scores of residents of Aluchi Bagh took to streets and protested against the killing of Manzoor by SOG. Raising anti-police slogans more than a hundred people including women took to streets. As the protests intensified, troops and policemen intercepted them and fired scores of tear smoke shells to disperse the agitating people. Another brother of Manzoor, Mushtaq Ahmad, who along with scores of residents said mere suspension of the culprits won’t bring his brother back. 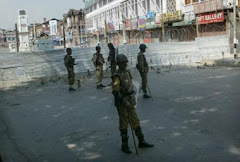 Paramilitary CRPF troops and police were deployed in strength to prevent the people from holding the protest on the Airport road. Manzoor, son of late Abdul Ahad Beigh of Aluchi Bagh, a car dealer by profession, is survived by his widow and three children. Manzoor Ahmad Beigh, died on May 18 after he was allegedly killed by SOG under custody. Later, the Deputy Commissioner Srinagar fearing public outcry ordered a time-bound magisterial inquiry to be submitted within seven days. Last Monday, as the inquiry report was submitted to DC, it absolved the SOG of killing Manzoor and described the cause of death due to brain haemorrhage. The inquiry has concluded that a departmental inquiry should be proceeded against the accused police officer for settling the civilian case inside his premises of his office.